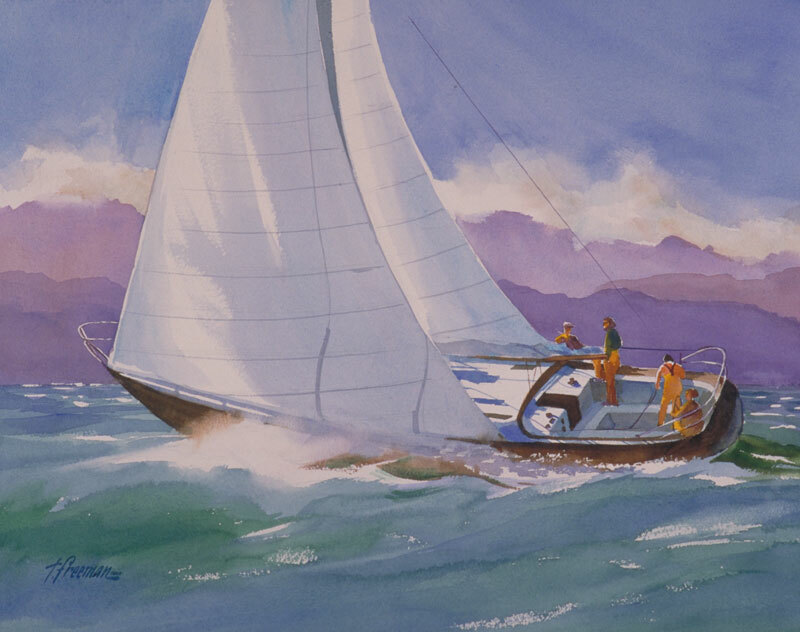 Thomas Freeman Original Watercolor Painting: "Tacking to Port"
I went out on a friend's Boston Whaler on San Francisco Bay. The SF Yacht Club was having a race that windy day. Suddenly this boat came fast across our bow and I snapped off two quick shots using a 135mm lens. That shot was a natural for a watercolor!